Previously I had posted about the bike revolution that is taking place - a return to simpler more classic bikes. There are the bikes that Public makes as well as Republic's bikes sold through Urban outfitters. 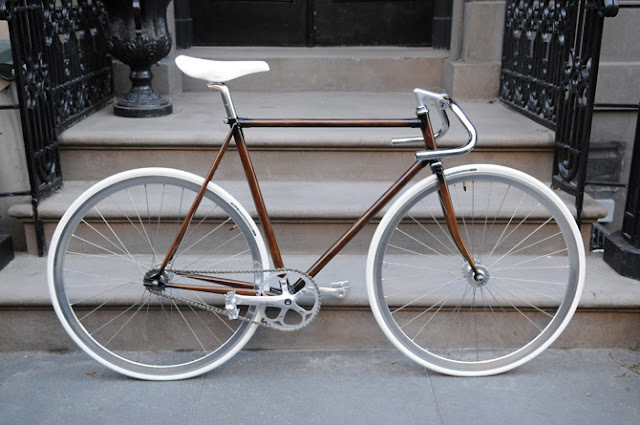 Well, now Rob's wood grain bikes (too bad their name doesn't have the word "public" in it) has upped the ante. 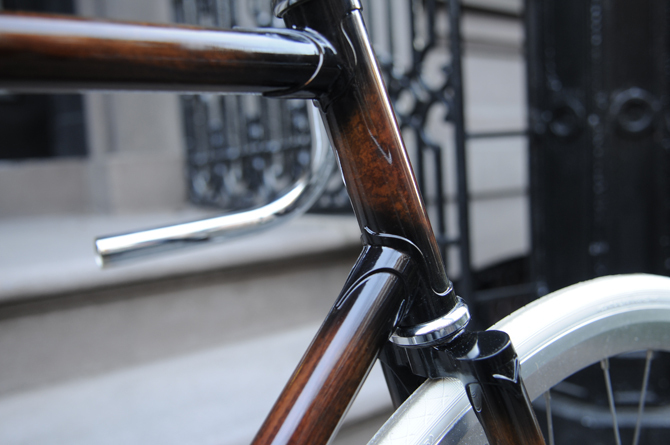 Burl wood in luxury cars is nothing new, but faux painted wood (I guess a real wood bike wouldn't be too dimensionally stable) is new to the bike world. Rob's is like the Louis Vuitton of bikes. Now, Rob doesn't actually sell wood grain bikes - you have to send him a bike that you already have for him to customize. And there's only Rob behind that airbrush, so it's a true custom job. Thanks for your kindly post,and welcome to vist our cheap Jordans website. And Speaking of Pumpkins Again.